Michael Connelly is a constitutional attorney whom I respect. I hope you will read this in its entirety and grasp the seriousness nature of where this nation is heading under Obama's second term and the lateness of the hour. If you have contacts in the military, please be sure to share this with them and all patriots. That is the question that many Americans should be asking themselves following the news conference where Obama unveiled his plan for destroying the Bill of Rights to the U.S. Constitution. At first glance it appeared to be a case of Obama shamelessly using the deaths of innocents, and some live children as a backdrop, to push for the passage of radical gun control measures by Congress. Most of these have no chance of passing, yet, Obama’s signing of Executive orders initiating 23 so called Executive actions on gun control seemed like an afterthought. Unfortunately, that is the real story, but it is generally being overlooked. 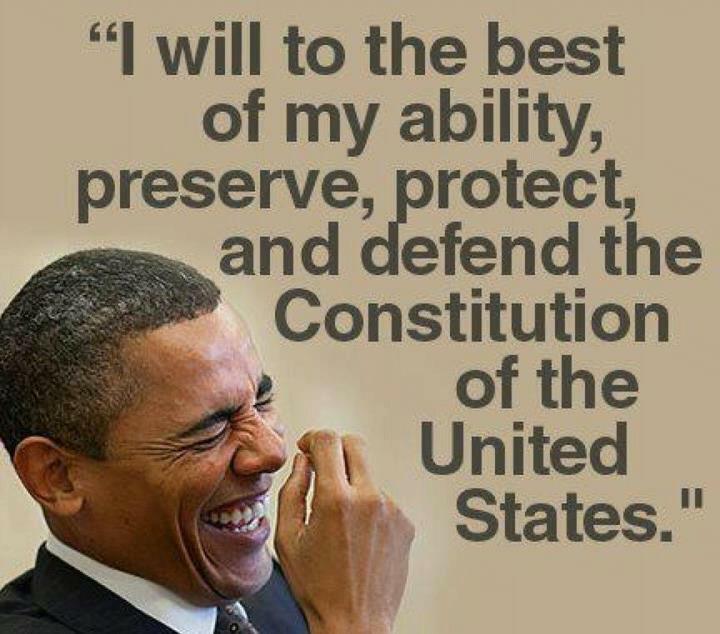 The fact is that with a few strokes of his pen Obama set up the mechanisms he will personally use to not only destroy the Second Amendment to the Constitution, but also the First, Fourth, and Fifth Amendments. It will not matter what Congress does, Obama can and will act on his own, using these Executive actions, and will be violating both the Constitution and his oath of office when he does it. What exactly is relevant data? Does it include our medical records obtained through Obamacare, our tax returns, our political affiliations, our military background, and our credit history? I suggest that all of the above, even if it violates our fourth Amendment right to privacy will now be relevant data for determining if we are allowed to purchase a firearm. One of the few amendments successfully placed in Obamacare by conservatives does appear to prohibit doctors from asking such questions. Yet, with these two Executive actions, Obama is illegally amending an act of Congress and setting up a procedure for him to force doctors to gain information from patients about gun ownership, and to get our medical history. Once again, what does this mean? What information does the Federal government want from the states? Copies of state personal and business income tax returns or court records of divorce and child custody cases are possibilities that come to mind as well as our voter registrations showing our party affiliations. How does any of this figure into our right to purchase a firearm? This section directs Eric Holder, the architect of Operation Fast and Furious that illegally transferred several thousand semi automatic weapons to Mexican drug cartels and resulted in the deaths of hundreds of Mexican citizens and several U.S. border patrol agents, to now add people indiscriminately to the list of Americans ineligible to purchase firearms. Who might be added to the list? Well, let’s look at the record of the Obama administration. Shortly after being appointed as the Director of the Department of Homeland Security Janet Napolitano sent a list of potential domestic terrorists to law enforcement agencies around the country. The list included individuals who were pro-life, who supported the Second Amendment, who had Ron Paul bumper stickers on their cars, and most disturbing, all members of the military returning from combat in Iraq or Afghanistan. The list has recently been supplemented to include individuals who hoard more than a week’s supply of food and water, and those who support individual liberties and oppose big government. I belong on most of these lists and I suspect that Eric Holder will be adding all of us to the list of dangerous people not qualified to own guns. In other words, you will no longer have to be a convicted felon or mentally ill to make the list; you will qualify simply by being an American patriot. This is not a conspiracy theory, at the United States Justice Foundation we are seeing increasing evidence that military veterans are being specifically targeted by the Obama administration when it comes to prohibitions against purchasing firearms. Any veteran diagnosed with Post Traumatic Stress Disorder (PTSD) is in danger of being banned from owning a firearm. Even those veterans suffering from mild depression are being added. None of these conditions constitute a mental illness that makes them a danger to themselves or others. However, in Obamaland veterans who took an oath to “protect and defend the Constitution of the United States against all enemies, foreign and domestic”, are definitely considered a threat to the new Fuehrer and must not be allowed to own firearms. This is particularly interesting because one of the legislative proposals is to require universal background check requirements for any firearm transfer even between private citizens. In other words, you can’t sell your firearm or even give it to someone s a gift without Federal government approval. It is doubtful that this proposal will pass in the House of Representatives, yet Obama is already setting up the mechanism for enforcing the requirement. That is a clear signal that he doesn’t care what Congress does, he is going to violate the Constitution and bypass the Legislative branch in order to push his agenda to disarm the American people. I suspect he will ultimately use Executive orders to ban many weapons including most rifles and pistols. There are numerous other actions dictated in the Obama order, but I think you get the idea. Our Second Amendment right is going to be taken from us for whatever reasons Obama decides. The simple act of opposing these actions can cause the Attorney General to place you on the list of “dangerous people”. Our privacy will be violated and all of this will be done without due process of law. That is what just happened. Was the Big Bang of Animal Evolution Really That Big?